Here’s a good news for beer fans. 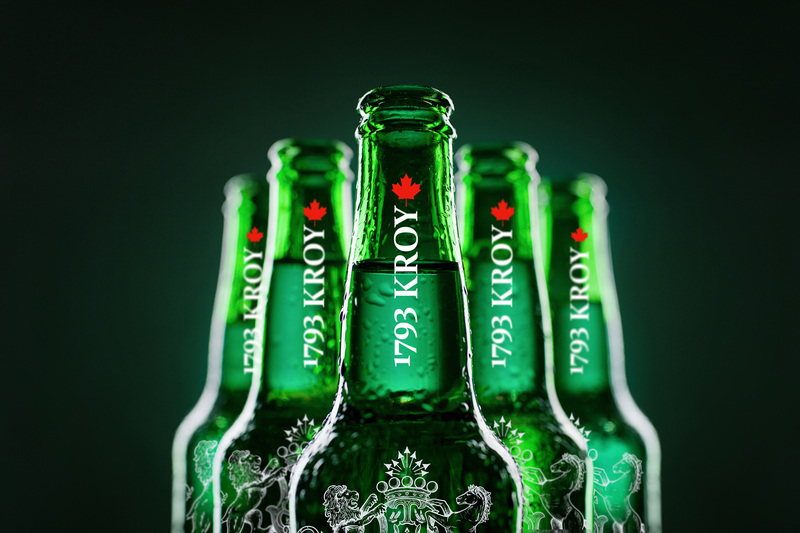 India’s connection with Canada is about to get stronger with the scheduled entry of one of its finest beer brands called 1793 KROY into the Indian market by mid-2016. The winning premium beer brand from Canada is all set to expand to 32 countries this year and Mumbai will be the first city in India followed by Goa, Bangalore, Chennai, Chandigarh and other metropolitan cities around the world where the beer will be available said officials from Toronto Ale Brewing, the company producing 1793 KROY. Toronto Ale Brewing Co. (fashion forward company) producing four style of premium beer, Lager, Amber, Hefeweizen and Stout with 5%, 8% and interestingly12% abv, a beer of that strength is not available in the market yet. The beer segment in India is seeing a great momentum currently and riding the growth wave many new beer brands are eyeing for a fair share of the pie. Azim Capital, a company that has many business interests such as mining, Commodities Trading, Construction, media and investment banking, funds Toronto Ale Brewing Co. It is headed by the dynamic duo Jack Azimi and Mike Azimi. The company aims to make 1793 KROY the proud brand ambassador of Canada to the world. According to the company, KROY will be brewed in Canada and shipped around the world within the first decades with main focus on Asian, Central Asia and African markets. There is something else brewing as well. Taking its interest in the beer business forward, Azim Capital is in the process of establishing its media presence in India, with a strong commitment of retaining Indian talent in India and showcasing their craft to the global market. KU media will focus on animation, digital & Print marketing, producing mini-series, documentaries and movies. Opening a media company that will market the beer worldwide and creative marketing professionals, digital artists all over the globe will be a part of the operation. There has already been recruitment of artists from India for this purpose. 1793 KROY is a pale, refreshingly crisp lager perfect as a summer drink especially for the Indian weather. While IPA’s are a current rage amongst the craft beer fanatics, craft lager still holds a special place even for a regular beer drinker. With bottled craft beer brands such as Erdinger Dunkel, Old Tom, Fuller’s London, Chimay, Leffe, Shepherd Neame IPA and Bira 91 gaining popularity in the market, KROY holds a significance chance of alluring the beer drinker. “Last few years have seen a phenomenal growth in the beer industry in India, with mushrooming microbreweries as well as increasing number of enthusiastic home brewers in Bangalore, Gurgaon, Pune and Mumbai. With Chandigarh, Goa and Hyderabad joining the band wagon, it is exciting times to be in this segment”, said the company representative. Working in favour of this category is the new found positioning of beers in the lifestyle segment. Cool names, big budget, unconventional marketing campaigns and ever expanding young consumer base with higher disposable income is what is going to drive the growth for beers in India. And 1793 KROY is slated to be in the right place at the right time.